We present refrigeration equipment that has vapor compressor refrigeration with Ammonia and Freon base refrigerant. 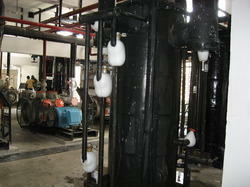 It has chilling system up to 300 TR with direct Expansion Plate heat exchanger system. We provide refrigeration equipment, hybrid intercooler, atmospheric condenser and compressor Refrigeration. 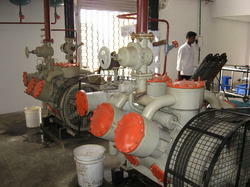 TAVRON Uses Various makes of Compressor to optmise the State of Art Refrigeration system. These compressors will be designed with direct drvive system, Pulley system along with Variable speed drive as option. 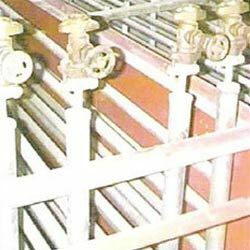 We are a preferred name in manufacturing refrigeration piping which are available in economic pricing. Its structure is designed by CAD software. 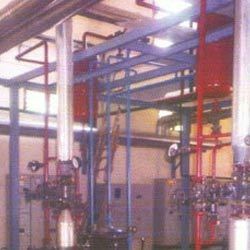 Our company is engaged in manufacturing atmospheric pipe condenser for easy maintenance. 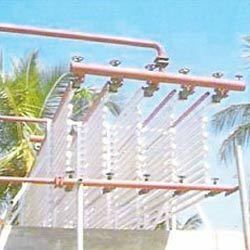 Our condensers are available with U bend or with vertical header. Looking for Refrigeneration Equipment ?